Chandigarh 31st October:- State Bank of India is observing Vigilance Awareness Week -2017 from 30.10.2017 to 04.11.2017 at all its offices / branches as per instructions of Central Vigilance Commission. The theme for this year is "My Vision–Corruption Free India". 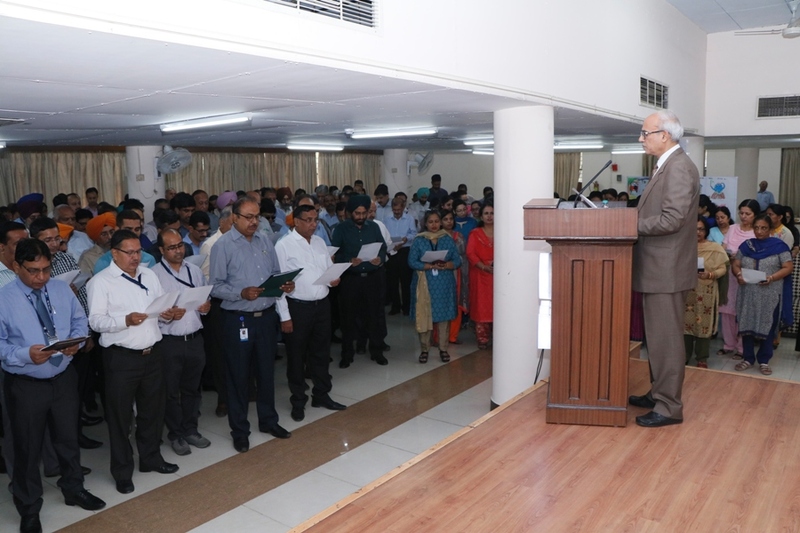 At Local Head Office, Chandigarh, the week commenced with an Integrity pledge at 11:00 a.m. on 30.10.2017 administered by Chief General Manager Anil Kishora to all the staff of Local Head Office, Chandigarh. On this occasion, the Chief General Manager laid emphasis on honesty, integrity and transparency to be displayed by the staff in all the tasks. An essay writing competition and a painting competition were organized by the Vigilance Department on the theme of this year "My Vision–Corruption Free India. Winners of these competitions were declared in the pledge taking ceremony. On 30.10.2017, the pledge was also taken by all the Administrative offices / RBOs / Branches under the Circle. Debates / Lectures / Essay writing competitions on moral values, ethics, good governance practices etc amongst the youth / students of colleges / schools are being organized. Posters / Banners depicting theme of the year are displayed at Administrative offices / branches / strategic public locations.. Gram Sabha are being organized by all rural and semi-urban branches. Further, Seminars / Workshops are also being organized by different offices to create awareness on corruption. Chandigarh 31st October:- "A clear conscience is the epitome of integrity" with these inspiring words of Atanu Kumar Das, Executive Director, Bank of India, unwrapped the Vigilance Awareness Week-2017 in the Board Room of their Corporate Office at Mumbai. At the outset, the integrity pledge was administered by Atanu Kumar Das, Executive Director, to all the General Manager of Head Office and staff members of Vigilance Department. It was followed by reading out the message of President of India by S.R. Meena, General Manager. Subsequently, messages from Vice President of India and Central Vigilance Commission were also read out by T. Sudhakar and D. K. Garg, General Managers respectively. Vikram Sinha, Assistant General Manager-Vigilance dwelled upon the purpose and importance of Vigilance Awareness Week. S.R. Meena, General Manager during his address emphasized the importance and relevance of remaining vigilant in our day to day activities. Atanu Kumar Das then stressed for embracing probity in public and personal life for development of the Institution and Nation. The other activities and program would follow during the week by the Bank at various centers. Chandigarh 31st October:- India is a country with diverse culture and traditions but what remains constant are the "Moral Values." A school is the first place where the child learns these values. A school plays a big role in the overall development of a child. Hence, the Indian school Awards have been organized to reward the schools for their commendable contribution in the overall growth and augmentation of the country. It is so far the largest platform for Indian Schools. The awards are scheduled to commence on the 10th November, 2017. Announcement of the same was done at a Press conference today in Chandigarh, where Akshay Ahuja & Shikha Dhillon of Robochamps along with Rohit Manglik, CEO, EduGorilla addressed the media about ISA being the largest platform for schools to get recognized for their contribution. The initiative is a collaborative effort of Robochamps India and AM Foundation, to boost the morale of Schools in various sectors. With a vision of giving a boon to Indian Primary Educational Institutes that are shaping country's future and next generations, for the very first time, this kind of event is coming which will Award Indian Schools in all the prominent sectors, as the Moto of the Event is to boost the morale of schools in other hidden sectors which are contributing in overall growth and mindset of upcoming generations. Indian School Awards 2017 is also giving an opportunity to all the School Principals to nominate themselves for different categories according to their eligibility to get the recognition on National level as many of the Principals are doing similar work from past many years in favor of rising the educational status of schools, but are not getting recognized anywhere for their great inputs. RoboChamps India and AM Foundation aim to increase their confidence to National level, so that they can put their precious experience and inputs in the field of education improvisation. The aim is to increase competition in the education sector, so that there should be aggressive competency in the education field as other highly emerging sectors of India. ISA- 2017 is creating a competitive environment for all the schools, so that they can heighten up their standards of education and other facilities and give their students great opportunities to grow at their best level. As the schools have to create next level competitive generations to grow our country on World level. So our next generation individuals should be highly talented to get in the race of the people whom they will never see in this fast emerging world. More than 200 delegates are coming for the event which will include Primary Education Institutes and school Principals, Institutional directors, official delegates, Prominent Educationalists and speakers of the country along with Government officials in Educations Sector. The Event will be elated by Our Chief guest and current Punjab government head of education department Ms. Aruna Singh and First female Lok Sabha speaker and presidential candidate Ms. Meira Kumar who will be delivering honour to the deserving schools. ISA- 2017 is going to be happening on 10th November 2017 at one of the prestigious properties of Chandigarh i.e. Ramada Plaza. Among the prestigious panel of speakers we have Rohit Manglik, CEO, Edugorilla; Puneet Sachdeva, Founder, Aam Press; Vinesh Menon, CEO for Education Skilling and Consulting services, VIBGYOR Group and many more. Speaking on the occasion, Akshay Ahuja, Founder –Robochamps India stated that the hands on Practice is as important as the theoretical study. Children learn more from experiences rather than books. So it is very necessary to give them practical experiences at schools. Great initiative in the form of Indian School Awards 2017. This will increase the hunger of getting more in the field of education. Shikha Dhillon, Director- Operations, Robochamps India/ Indian School Awards added that the education industry is not much competitive in respect of overall development of students. Indian School Awards are giving them a reason to improve and prove their selves in this fast changing world. A Great initiative to make a change. On this occasion, Rohit Manglik, CEO, Edugorilla said that the much awaited Indian School Awards is launching this great initiative of awarding the exemplary schools. These awards boost the confidence of schools with exceptional results, innovation and overall child growth, thereby making the education ecosystem more competitive. Chandigarh 31st October:- Swaraj Division, a part of the US $19 billion Mahindra Group, today donated three mobile toilet blocks to the district administration, as a part of its ongoing CSR initiatives in Mohali district under the Swachh Bharat campaign of the Central government. The aim of this initiative is to keep the city free of open defecation and to inculcate a culture of cleanliness among slum dwellers. These mobile toilet blocks, which are worth Rs 10 lakh, will cater to a population of more than 2,000 in Guru Nanak Colony, Valmiki Colony and Udham Singh Colony. The Deputy Commissioner of Mohali, Gurpreet Kaur Sapra received the mobile toilets on behalf of the district administration from Viren Popli, Chief Operating Officer, Swaraj Division, Mahindra and Mahindra Ltd. The event was held in the premises of the Swaraj factory in Phase IV, Industrial area and the Swaraj Division was highly appreciated by the district administration for undertaking such initiatives at regular intervals under the Swachh Bharat campaign. Gurpreet Kaur Sapra, Deputy Commissioner of Mohali, mentioned that mobile toilet blocks donated by the company would not only go a long way in making the surroundings cleaner but would also help to improve the quality of lives of the residents. Stressing on the commitment of Swaraj Division towards making Mohali a cleaner and greener city, Viren Popli, Chief Operating Officer, Swaraj Division M&M Ltd. said that these mobile toilets are part of our concerted efforts to turn Mohali into one of the cleanest cities of the country. We have undertaken various projects in partnership with the Mohali Municipal Corporation under the Swachh Bharat campaign and the results have been quite encouraging. Earlier, Swaraj Division had donated three mobile lavatories and three community toilet blocks, which are benefiting more than 3,000 people residing in various parts of the city, including Valmiki Colony, Guru Nanak Colony, Phase IV, Industrial Area, Madanpur and Mohali village. It has also installed more than 700 waste bins on the road leading from Phase V to the Phase VII market. In the past three years, Swaraj Division has spent about Rs.1.5 crore on various projects in Mohali, which include setting up of community/mobile toilets, installation of waste bins, awareness campaigns and maintenance of parks. The Union Ministry of Urban Affairs had recently acknowledged the efforts of Swaraj Division by selecting it for this year's national award. Chandigarh 31st October:- HDFC Bank today announced the launch of SmartUp Zone in Chandigarh. A SmartUp Zone is an exclusive area inside the branch dedicated to start-ups. The SmartUp zone is located inside Sector 35 B branch in Chandigarh. Through this zone, specially trained bank staff will offer tailor-made banking and advisory solutions to entrepreneurs. Furthermore, by accessing the bank's new SmartUp portal, start-ups will be able to tap into the knowledge and experience of a complete network of start-ups while simultaneously offering their services to this universe. 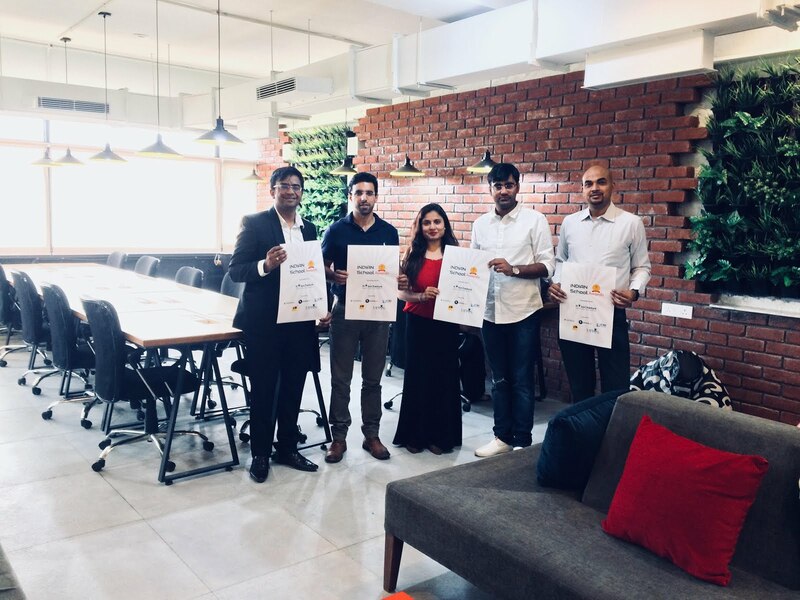 The first SmartUp zone was launched in New Delhi and similar zones will be launched in over 65 branches in 30 cities across India, including tier 2 and 3 cities like Jaipur, Lucknow, Nagpur, Coimbatore, Surat to name a few, that are emerging as start-up hubs. The SmartUp zone in Chandigarh was inaugurated by Jitender Yadav, Commissioner Municipal Corporation, Chandigarh with Vineet Arora, Regional Head–Punjab, HDFC Bank in presence of other officials from the Bank. Chandigarh has a vibrant start-up eco-system with more than 700 start-ups (source: Angel.co) operating from the city. The objective is to service the needs of these start-ups and also encourage entrepreneurship. This initiative is part of a larger effort by HDFC Bank to create an ecosystem to nurture the spirit of innovation and enterprise in the start-up space. The journey began with the launch of SmartUp, a first-of-its-kind banking solution for start-ups last year. SmartUp is tailored to meet all the requirements of a start-up, offering banking and payment solutions, along with advisory and forex services. This year, the bank is taking its start-up offering to the next level with dedicated SmartUp zones for start-ups. Vineet Arora, Regional Head – Punjab, HDFC Bank said that at HDFC Bank, we believe that start-ups need partners, who will be with them right from the start of their entrepreneurial journey, creating solutions that evolve as the company grows. The launch of SmartUp zone in Chandigarh is aimed at creating a complete ecosystem to nurture the spirit of innovation and enterprise in this region. We will be looking at opening similar SmartUp zones across other cities in Punjab. After the launch of SmartUp last year, we are taking offerings for start-ups to the next level this year. We have also revamped the SmartUp product suiteto include escrow accounts for investors and demat shares for these unlisted companies for raising funds. At HDFC Bank, the objective is to harness the potential of the start-up and fintech eco-system using a multi-pronged approach. The SmartUp zone is one such initiative. Recently the Bank also announced the launch of Industry Academia where it will work with the incubation and entrepreneurship cells at IIT Bombay, IIT Roorkee and IIM Ahmedabad to mentor start-ups at these institutions. The Bank intends to take this programme across other leading educational institutions in India. The Bank's Digital Innovation Summit in its second year has enabled it to get ideas in fintech space particularly in AI and machine learning. For example, our chatbot Eva is from Senseforth, a fintech and one of the winners at the Digital Innovation Summit. Chandigarh 31st October:- The 9th annual Chandigarh National Crafts Mela, a joint venture of the North Zone Cultural Centre, Ministry of Culture (NZCC), Government of India, and Chandigarh Administration, will be organized at Kalagram, Chandigarh, from 2nd November to 12th November, 2017. His Excellency the Governor of Punjab and Administrator, U.T., Chandigarh and Chairman, NZCC, V.P. Singh Badnore, will formally inaugurate the Mela, on November 2, 2017 at Kalagram at 11.00 am. 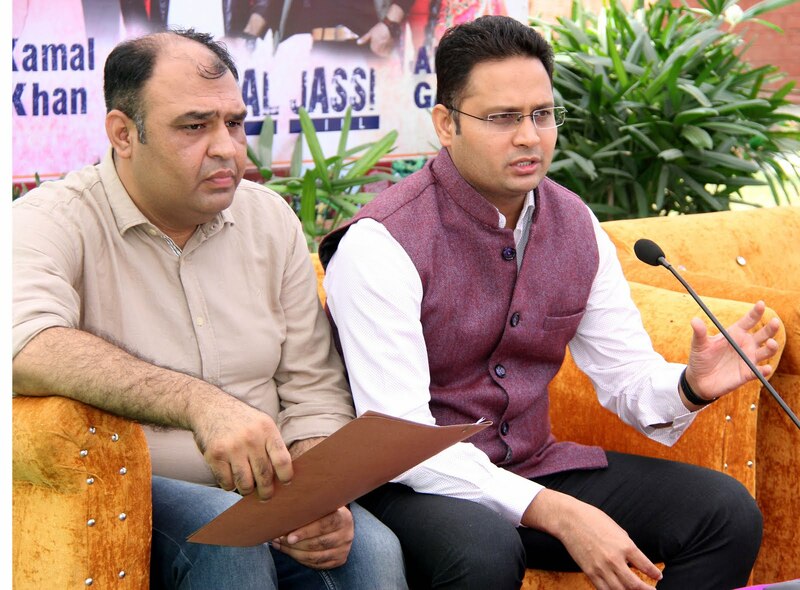 Addressing the media gathering The Director Cultural Affairs, Jitender Yadav, said that the theme of the craft mela this year is 'Dadra and Nagar Haveli', which will bring into focus the rare folk arts and crafts and adorable folk traditions of various regions of the country. He further added that like past years the NZCC has invited acclaimed handloom/handicraft artisans, including Shilpa Gurus, National Awardees, Sant Kabir Awardees etc, to showcase their traditional art and craft. NZCC has constructed as many as 160 ethnic stalls, out of which 12 stalls have been earmarked for artisan and craftsmen from U.T. Chandigarh and 3 stalls have been especially allotted for artisans from Dadra and Nagar Haveli, have been made from bamboos/ballies, hessian cloth, thatch. The sprawling 14-acre complex housing and open air theatre, sculpture park, et al, bears a festive look offering high-end facilities, like never before, for the 9th edition of the Mela' for craftsmen to display their ethnic creations. All the eight editions of this unique festivity, being held here since 2009 have been a big draw attracting Mela lovers in their thousands from the tricity and other parts of the country and abroad. The hosts have gone a step further to create a perfect ambiance as per the theme of the Mela. Entry gate has been tastefully designed as per the theme of the season. Aesthetically raised walls in a typical style are decorated with Warli paintings done in a typical Gujarati tradition. Food Court consisting of 16 stalls, including 2 stalls for Dadra and Nagar Haveli, offering rich Indian traditional cuisines and culinary delights has also been put up, where food lovers, will have a date with their choicest delicacies. A spectacular cultural bonanza offering a string of fascinating folk dances and folk musical instruments and of various part of the country will keep the visiting Mela buffs enthralled in the evening segment of the Mela, daily. Star artistes will perform in the evening segment during the Mela. The 11-day-long festivity will have the presentations by the artistes. Special emphasis this season has been given on the flagship campaign 'Ek Bharat Shreshtha Bharat'. Theme, Baratt Ko Jano Bharat Ko Pehchano' for students of U.T. schools/colleges Chandigarh, photography Competition, Camels Rides, Jhoolas/Joy Rides, and National Sculptors Camp by renowned artists will be an attraction of this Mela. The youth, especially the student community, will get an opportunity to know about the rich cultural heritage of our country. Other than this the Department of Cultural Affairs Chandigarh Administration is hosting a ticketed event at Tagore Theatre in which the famous Bollywood star Pankaj Kapur, Supriya Pathak, Rakesh Bedi, Ananth Mahadevan, Manoj Pahwa and Seema Pahwa will act. The Department will organized its First play (last Over) on 19th November in which Rakesh Bedi and Ananth Mahadevan will be in the lead role .The Department will host the Second Play On 2nd December in which Manoj Pahwa and Seema Pahwa will be in the Lead Role. The Rate of the tickets will be Rs 500/- and Rs 300/- and the tickets of the play will be available at Tagore Theatre from 3rd November onwards. Chandigarh 30th October:- Mankind Pharma, a quality driven Indian pharmaceutical company announces Amitabh Bachchan as its brand ambassador with the launch of its latest commercial featuring the legendary Superstar. Amitabh Bachchan, who has been a household name for generations and this strategic alliance resonate with Mankind's philosophy of 'Serving life'. 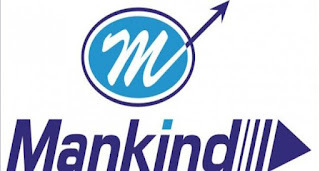 Through this partnership Mankind Pharma will emphasise the importance of good health and affordable treatment for all. This is the first time Mankind has appointed a new brand ambassador and this association will be showed by a new TVC. The new corporate advertisement will be released on 1st November packing Mankind's commitment towards healthier and happier world. The association with Big B comes at a point when the brand is growing rapidly across India and abroad. 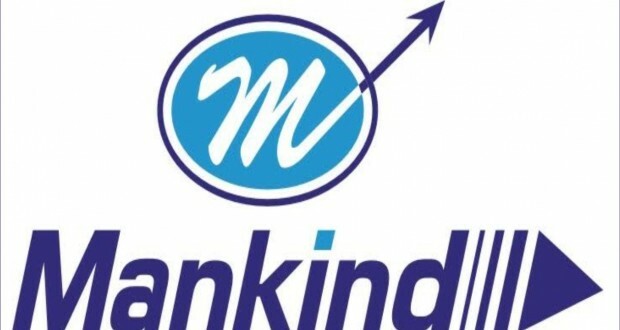 Speaking on the partnership, Rajeev Juneja, CEO, Mankind Pharma said that we are honoured to announce Amitabh Bachchan as our 1st brand ambassador for Mankind Pharma. Amitabh Bachchan holds poise in society and is a renowned personality who exudes reliability and dependence. We believe this association will further add confidence to the brand and strengthen the Mankind brand image among consumers. We welcome Mr. Bachchan to the Mankind family. Commenting on same, millennium star Amitabh Bachchan said that it has been an absolute pleasure to be a part of the Mankind family and he is delighted to be associated with the brand known in the country for its work of serving life. Chandigarh 30th October:- Yes Bank, India's fifth largest private sector Bank unveiled a superior payment wallet service, BHIM YES PAY by fully integrating the application with all the IndiaStack APIs and NPCI Products. Yes Bank has over 5.5 lakh registered users on BHIM YES PAY and more than 2 lakh users have already availed either UPI or Virtual Card Services to carry out P2P payments and online shopping. Since launch we have witnessed over 2 million transactions valuing close to INR 700 million. The freshly updated application, BHIM YES PAY, which is available for Android Users and will soon be made available for iOS users, integrates three other products of National Payment Corporation of India (NPCI)– RuPay Virtual Card, BharatQR and BBPS in addition to other payment infrastructure like UPI and IMPS. With the RuPay virtual card integrated in their BHIM YES PAY wallet, users can also utilize their wallet balance to make payments across websites and applications online, similar to how they currently use their debit cards but without the hassle of carrying one along. BharatQR aims to eliminate the need for point-of-sale terminals by allowing users to pay using their cards simply by scanning a QR code at any retail outlet. The advantage is two-fold - customers need not carry their cards anymore and shopkeepers need not invest in point-of-sale machines to read cards at their end. Also, with the third service, the Bharat Bill Payment Service (BBPS), a centralized one point bill payment service, BHIM YES PAY users can directly pay all their bills instantly at once, from their mobile app. Announcing the new BHIM YES PAY, Ritesh Pai, Chief Digital Officer, Yes Bank said that we are happy to launch Yes Bank's payment wallet's new avatar 'BHIM YES PAY' to mark the full-suite integration of the IndiaStack APIs and NPCI Products. The BHIM YES PAY wallet now offers unparalleled options to the users and merchants for payments in multiple use cases making it a comprehensive solution. We will soon launch FastTag too which will facilitate easy toll payments and look forward to widespread adoption of the digital payment products bolstered by superior customer experience on BHIM YES PAY." India Stack is a set of APIs that allows governments, businesses, startups and developers to utilize a unique digital Infrastructure to enable India to move towards presence-less, paperless, and cashless service delivery. Chandigarh 30th October:- For the first time in 40 years, the Organic World Congress (OWC) is coming to India. This mega event will take place at the India Expo Centre and Mart, Greater Noida, NCR from 9-11 November 2017. Prime Minister Narendra Modi has been invited to inaugurate the 19th Organic World Congress on November 9, 2017. Addressing a press conference here today, Dr. Claude Alvaries, Director, Organic Farming Association of India and Umendra Dutt, Executive Director, Kheti Virasat Mission said that the 19th IFOAM Organic World Congress will write a new chapter to the country's efforts to encourage agriculture without damaging soils, plants, water, wildlife and people's health. Around 3,000 organic farmers, scientists, agricultural research agencies, institutions of the Government of India and State Governments, including registered delegates from over more than 110 countries, will take part in the grand event. In addition, Organic trade missions from some 40 countries are attending the trade fair. 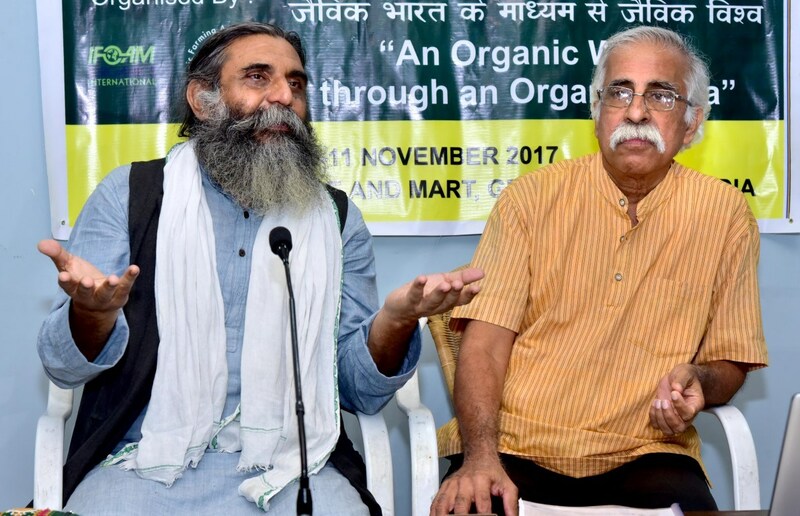 They said further that the Organic World Congress will play a critical role in strengthening the world organic farming movement and tilting India's agricultural policy firmly in the direction of organic farming. Demand for organic farming is steadily increasing in the Hindi-speaking states. A large numbers of farmers will benefit from the 3-day event. The OWC 2017 is co-organized with the Ministry of Agriculture and Farmers Welfare. Further official support has come with the participation of The Agricultural and Processed Food Products Export Development Authority (APEDA), the major organic export arm of the Ministry of Commerce, as the Principal Partner of the Congress. Several other Ministries and State Governments are joining the congress as partners including Kerala, AP and Sikkim. The Ministry of Agriculture, Uttar Pradesh, is hosting the event (Greater Noida falls in UP). Chief Minister of Sikkim will attend the event. All other Chief Ministers have been invited for the inauguration. Ministers of Agriculture from Bhutan, Odisha, Kerala and UP have confirmed their participation. Agriculture Minister of Haryana, Om Prakash Dhankar, is also keen to attend the event. Organic World Congress is a global sammelan dealing exclusively with organic farming. This global event is held once every three years in a different country. The last Congress was held in Istanbul, Turkey in October 2014. India won the bid to host the 19th IFOAM Organic World Congress against stiff competition from Russia, China and Brazil. The venue of the next OWC will be decided in Delhi on November 13 at the Vishwa Yuvak Kendra, Chanakyapuri. The other unique aspect of this OWC is the huge effort made by the Indian organisers to bring organic farmers for the first time centre stage at the event. This will lead to a massive exchange of organic agriculture innovations, particularly advanced organic techniques. The event will witness 150 photographic PPTs from organic farmers; 160 papers on scientific research into organic agriculture; 120 presentations from organic traders and business. This year, in fact, the OWC has received more than 300 papers for consideration from scientists across the world. The venue for the event is being designed by Orijit Sen. The splash of India culture that will envelop the venue will be enjoyed in the form of Indian classical dancers and drummers from the farming community. Besides, he OWC food menu will enable delegates to taste original and traditional Indian foods that they have never tasted in their lives, all organically grown. Daily visitors do not need to pay any entry charges. The seed exhibition, plus demonstrations of how to generate recipes for living soil (jaivik khad) and other innovations will take place outside the halls, in the open compound of the India Expo and Mart, and will be free and open to the general public. The entry to the state and commercial (BIOFACH) pavilions is also free. Chandigarh 30th October:- Infosys has been identified as a global leader in the corporate response to climate change and has been awarded a position on this year's Climate A List by CDP, a non-profit global environmental disclosure platform. Infosys is the only Indian company across all sectors to make to the leadership Index this year. The 2017 Climate A List comprises of 112 global companies, and is published alongside similar lists for corporate leadership on water and forests. The Climate A List has been produced at the request of 827 investors with assets of over US$100 trillion. Thousands of companies submit annual climate disclosures to CDP for independent assessment against its scoring methodology. Infosys is among 5% of companies participating in CDP's climate change program to be featured on the 2017 Climate A List. This is in recognition of its actions in the last reporting year to cut emissions, mitigate climate risks and develop the low-carbon economy. Infosys takes great pride in building sustainability into the foundation of the company. Infosys became the first company in the IT sector to commit at the UN to becoming carbon neutral. Infosys is not only reducing its energy consumption and increasing the dependency on renewable energy, but also investing considerably on carbon projects, to offset emissions outside Infosys' control. . The Climate A List is released alongside the Water A List and Forests A List on CDP's website, accompanied with case studies from leading companies. This is the first year that CDP has announced company scores across all three areas simultaneously, reflecting a holistic approach to corporate sustainability. Chandigarh 30th October:- Virtuous Retail South Asia's regional flagship center, VR Punjab, has announced the inaugural edition of an annual festival, 'Punjab Art Initiative' (PAI), that seeks to highlight the regions unique heritage, art & culture and catalyze civic pride. The 45 day long art festival will be open to visitors from 1st November till 15th December. The inaugural edition will features a unique collection of installations and fine art work created by both some of the most prominent, and promising artists from across India, including George Martin an award winning artist, Murali Cheerooth, Vikash Kalra, Nilesh Kinkale, and Yati Jaiswal among others. Importantly, students from the Government College of Art, Chandigarh, the College of Architecture, Lalit Kala Akademi, College of Art, Delhi, and JJ School of Art, Mumbai will also share space with the independent artists over the duration of the festival. PAI will also host a variety of art related entertainment events and activities like the Basement Art Project, Live Portrait Making, a Children's Art Competition and Performance Art by Chandigarh based Manjot Kaur who recently showcased her work at the Swiss Biennale 2017. To mark the launch of PAI on Wednesday, 1st November, 2017, VR Punjab will unveil the VR Art Car Project that features a Mercedes Benz painted by renowned artist Gigi Scaria, followed by a performance art feature by Murali Cheeroth. The launch event will also host a music concert by The Local Train, a leading Indian Rock Band originally from Chandigarh. The concert will commence at 7 p.m at the Amphitheatre at VR Punjab.